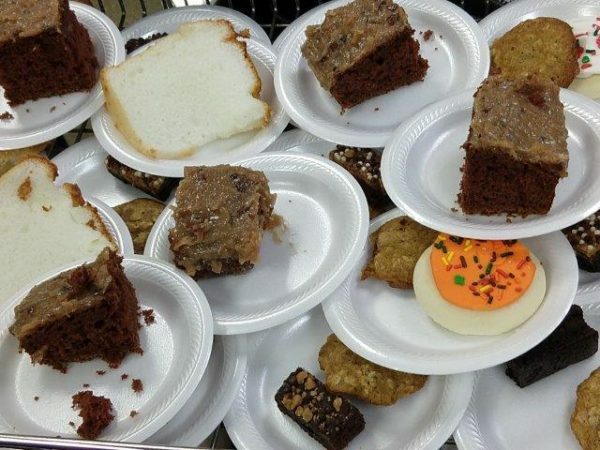 On Monday, October 16, 2006 First Christian Church of Martinsville opened its doors at 89 S. Main Street to serve the first meal at the newly established Community Table. 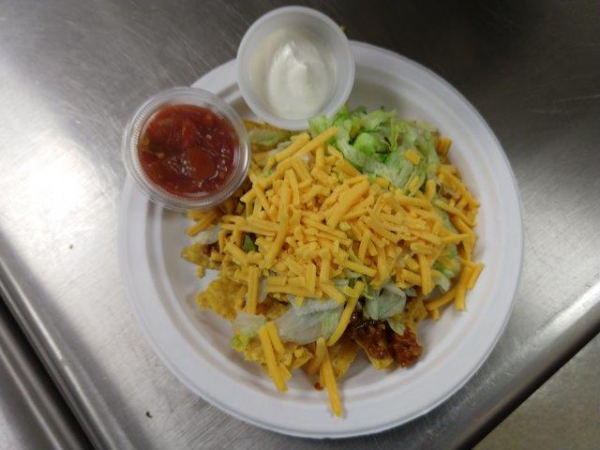 Twelve years later, the doors are still open on Monday nights and hot meals continue to be served from 5:20 to 6:30pm. The mission statement for this local operation is twofold: The Community Table–seeking to be (1) a tangible response to God’s call and commandment to be a hospitable people and (2) a figurative and literal extension of the Table of the Lord’s Supper – offers a weekly, free meal, as well as fellowship and prayer, to anyone in the community who wishes to participate. 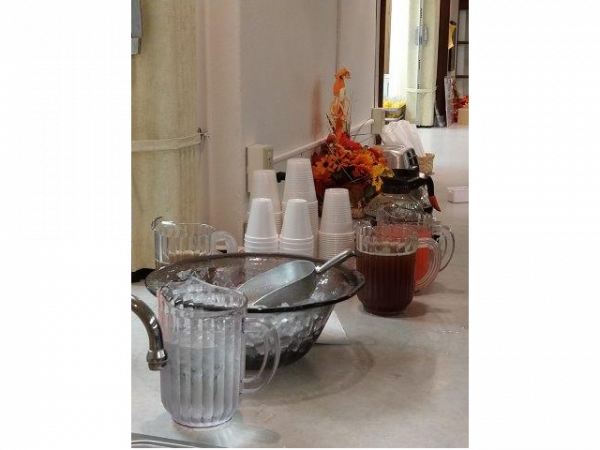 Originally, 11 teams, manned by members of First Christian Church were the preparers, servers and cleanup crews for the meals. First Christian Church saw a need for a safe place for middle school youth after school. With the help of adults middle school youth of the church came up with the name, the mission statement, the rules, and served on the board. They also put in sweat equity to get the building ready. 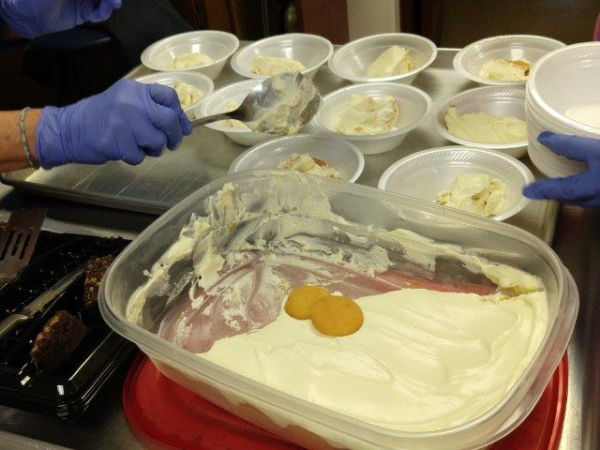 Since 1998 staff and volunteers have help to keep the original mission of The Haven going. 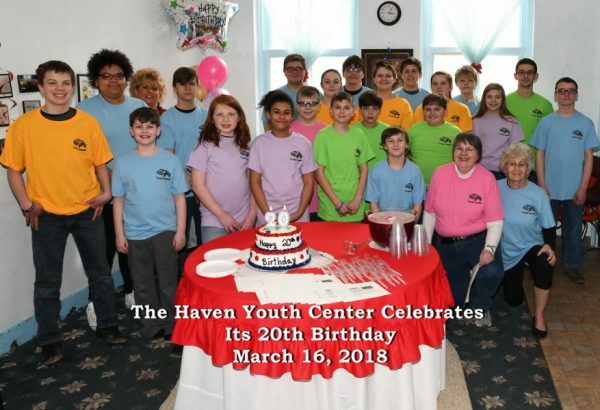 Mission statement: The Haven Youth Center is to provide students in grades 5 through 8 a safe place to come after school to hang out with friends, to visit, to play games, eat, study, learn new life skills and do community service projects. 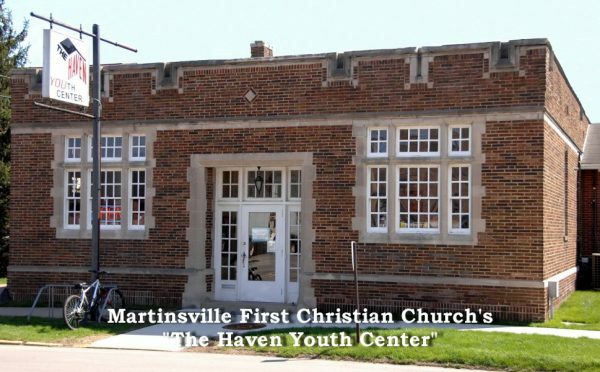 Over the years members of FCC have purchased a building to house the program and a van, volunteered and established permanent funds to support this ministry. The Haven has received many grants over the years. The most recent grant is from the Morgan County Substance Abuse Commission. The grant is enabled Haven youth for the first time to experience an overnight prevention retreat at a nearby camp ground. A handful of middle school youth and as many adults helped to shape The Haven into what it is today. In 1998 the only after school program for middle school youth was the YMCA. Several youth could be found spending time on the steps of the library waiting for parents to get off work. First Christian Church saw the need for a safe place for youth to hang out with friends, study, learn new skills, and have an opportunity for service to the community. With the guidance of Rev. Linda Presley youth chose the name, the logo, came up with the mission statement, picked out equipment, made a commercial and invited friends to attend. Adult volunteers from four local churches provided adult supervision and sat on the Haven Board which was made up of youth and adults. Kairos is in all of the prisons in Indiana except one. This movement is changing the lives of the men and women in prison as well as the staff. We start with scared, angry, hurting men and women and after 72 hours see happy, forgiveness, blessed individuals that go back into the population to share the love of Jesus Christ. We call it a front row seat to a miracle! There are Kairos weekends twice a year at most prisons. Being on a team takes dedication, but the payoff is SO worth it! In Matthew 25:36-40, Jesus told us to, “I needed clothes and you clothed me, I was sick and you looked after me, I was in prison and you came to visit me. Then the righteous will answer him, “Lord, when did we see you hungry and feed you, or thirsty and give you something to drink? When did we see you a stranger and invite you in, or needing clothes and clothe you? When did we see you sick or in prison and go to visit you? Participation in the Chancel Choir offers an opportunity to worship through choral singing, presenting anthems, and leading congregational singing during the 8:30 a.m. service on Sunday morning. The Chancel Choir is a 15–20 member group that rehearses each Thursday evening from 7:00–8:30 p.m.
Presenting a “blend” of music from traditional to contemporary worship traditions, the Praise Team is dedicated to leading the praise and worship of God at the 10:45 a.m. service. The Praise Team rehearses each Thursday from 6:00–7:00 p.m. Participation in the Audio and Video Team offers an opportunity for those with a desire to work “behind the scenes” in the music program. Supporting weekly worship through sound reinforcement and slide presentations, the Audio and Video Team is responsible for maintaining the sights and sounds of Sunday morning worship. Providing instrumental music to enhance the worship experience, the Chalice Ringers play for the traditional worship service the first Sunday of each month plus for special occasions. The bell choir consists of five octaves of Schulmerich bells and five octaves (three octaves of Suzuki and two of Malmark) handchimes. Other instruments and voices occasionally join with the bells as well. A quartet composed of members of the bell choir also plays for some services and for special programs outside of the church. Rehearsals are Wednesday evenings from about 6:30 to 8:00. Our support of Habitat for Humanity of Morgan County is one way we put God’s love into action by assisting in building homes for those who have none. We support Desert Rose in Martinsville, a provider of transitional shelter for victims of domestic violence and sexual assault, and other services needed to break the cycle of abuse. Wellspring Center houses those in need of shelter due to homelessness, and offers emergency housing, advocacy, support, and paths to self-sufficiency. Stability First is a non-profit organization established to address multiple issues associated with the alleviation of poverty.